With nine islands that stretch over 28,000 hectares, the Samal group of Islands is located in the gulf of Davao. Samal is an exotic and beautiful island with a coastline blessed with white sand beaches, rich marine life, amazing rock formations, mangroves and landscape elements with touches of coconut trees, fruit bearing trees and flowering plants all over the island. 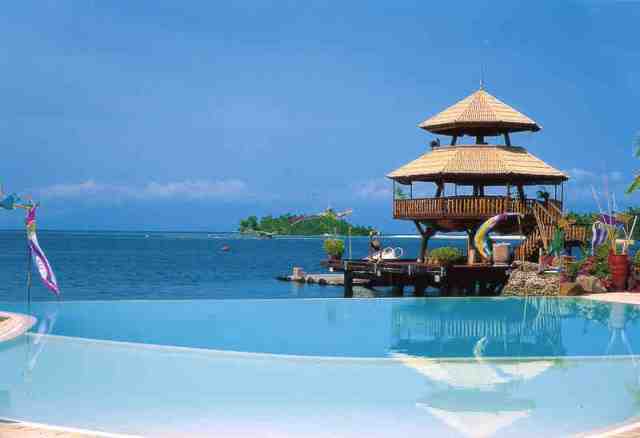 Amidst an exotic environment is the Pearl Farm Resort Davao located on the quiet west side of the Samal Island. It is a 40-minute boat ride away from the city and is located by a hillside cliff with lush vegetation as the resort’s ultimate backdrop.